Founded in 1956, Boulton Lane is a small Baptist Church serving the community of Alvaston in Derby. We are informal, relaxed and flexible. We belong to the Baptist Union of Great Britain and are a community built on showing and sharing the love of God. Mike Lowe is our full-time Minister and has been with us since 2007. The Children's Society wants to create a society where children and young people are valued, respected and happy. We are committed to helping vulnerable and disadvantaged young people, including children in care and young runaways. We give a voice to disabled children, help young refugees to rebuild their lives and provide relief for young carers. We believe that the Christian message is Good News for people whether they choose to believe it or not! We love the Church of Jesus and truly believe as Bill Hybels said “that the local church is the Hope of the World” We also love the City of Derby, this is our home, and we believe that as agents of Gods Kingdom we should do all we can to make this city a better place to live. Welcome to the website of the Diocese of Derby. We aim to offer an introduction to our work and witness for the Church of England in Derbyshire. All information and activities highlighted have a common root in our desire to proclaim the Gospel of Jesus Christ in ways which are most appropriate for the amazing and testing times in which we live. Use this website to plan your visits to these fascinating historical and spiritual buildings. Once you’ve found locations close by you can filter your selections by features such as special stained glass or architecture or by the facilities available. So whether you’re planning an historical exploration or just seeking a moment of quiet in a peaceful environment we look forward to welcoming you to a church in Derbyshire. Every day people in the UK go hungry for reasons ranging from redundancy to receiving an unexpected bill on a low income. Trussell Trust foodbanks provide a minimum of three days emergency food and support to people experiencing crisis in the UK. The Trussell Trust partners with churches and communities to open new foodbanks nationwide. With over 250 foodbanks currently launched, our goal is for every town to have one. 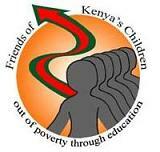 Friends of Kenya's Children (FKC) is a small UK registered charity which was started in 2003. We are committed to helping orphaned and/or abandoned children living in Lodwar & Eldoret districts of Kenya, working with Christian Outreach Ministries (COM). John Blaylock has published on this website historical material on Alvaston, a suburb of the city of Derby. Included are references to the neighbouring parishes of Boulton and Elvaston. Messy Church is for adults and children to enjoy together. It's primarily for people who don't belong to another form of church already. It's all-age. It's fun. Its aim is to introduce Jesus, to give an opportunity to encounter him and to grow closer to him. It usually includes some creative time to explore the biblical theme through getting messy; a celebration time involves story, prayer, song, games and and a meal together. The Centre, based at Derby University exists to promote mutual understanding between people of different faiths and beliefs and to build respect between people as fellow human beings. Padley is a Derby-based charity founded in 1985 delivering services to people with complex needs. We work with some of the most socially excluded people in our local community. When we speak we bring good news, when we act we do good things. Our emergency relief programmes provide desperately needed assistance to victims of natural disaster, war, disease, and famine. As we offer food, water, and temporary shelter, we meet critical needs and give people a chance to rebuild their lives. We are an Ecumenical Church which means that the people that worship here represent the Anglican Church, Methodist Church and United Reformed Church. Our church, dedicated to St. Mary the Virgin, is located in Boulton Lane, Alvaston, a suburb of the city of Derby, England. The site has been a place of Christian worship for over 900 years.